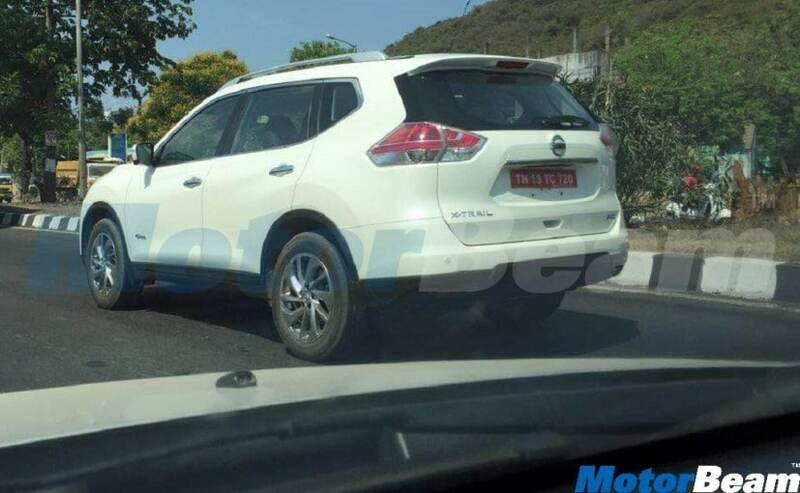 Nissan X-Trail Hybrid SUV was recently spotted testing in Chennai without camouflage. Slated to launch in India later this year, Nissan is set to bring back the X-Trail, but this time equipped with a hybrid engine under the hood. The Nissan X-Trail Hybrid will be the country's first full-fledged hybrid SUV in its segment and India is only the 4th market to get this popular SUV from the Japanese carmaker. The SUV was first seen in India during its public unveiling at the Auto Expo 2016 along with Nissan's iconic sports car - GT-R, which is also set to be launched in the country later this year. The premium SUV was withdrawn from Nissan's line-up in India owing to poor response in terms of monthly sales. Hoping for a better run this time around, the company has made notable changes to the X-Trail which has been built on a completely new platform. The SUV is based on a new CMF-C platform, which is being introduced in India for the first time. The X-Trail Hybrid will be a 5-seater model and dimensionally measures 4,640 mm in length, 1,820 mm in width and 1,715 mm in height. The SUV also comes with a long wheelbase of 2,705 mm, which means better legroom inside the cabin. The SUV will come to India as Completely Built Unit (CBU) and thus will attract a premium price tag which is expected to be somewhere in the range of ₹ 30 lakh to ₹ 35 lakh (ex-showroom, Delhi). While an official date is yet to be announced, we expect the X-Trail Hybrid SUV to go on sale in India by end of this fiscal.